Can be used as: a kind of snack or be used in preparing food and beverage. 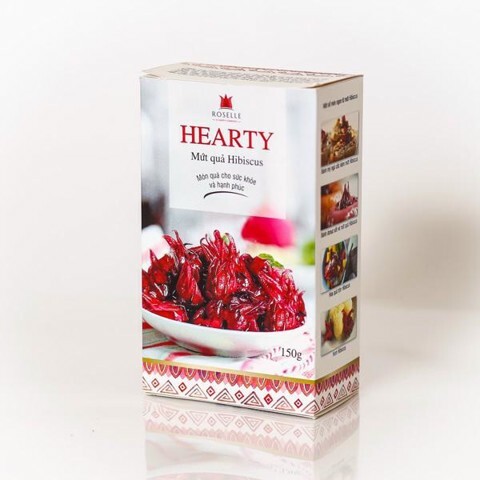 As Hibiscus jam is processed during harvest of Hibiscus calyxes, it can keep its freshment and nutritiousment. Product is more loved by customer for its delicious flavor and crispness of calyxes when being properly soaked and fermented. Hibiscus Sabdariffa is the symbol of happiness. This tropical flower is loved by the world for its brilliant beauty, good sour taste and great value for health. 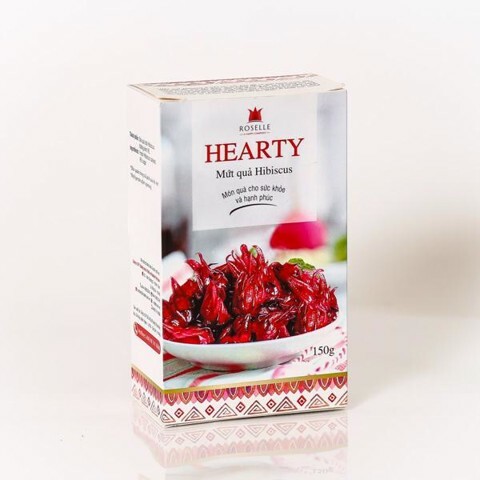 Hibiscus is a great source of Vitamin C.
Hibiscus is a good source of Vitamin C ( ascorbic acid ), a vitamin that the body needs to grow and repair its cells and tissues. Vitamin C is also important for your skin (Vitamin C is necessary for collagen synthesis to help you have a healthy skin, unfortunately, your body creates less collagen over years), to heal the wounds and strengthen bones and teeth. In addition, source of Vitamin C in Hibiscus also helps fever reduction, body hypothermia and sedation. Furthermore, Vitamin C is also antioxidant ie it prevents the destruction caused by free radicals which are generated when the body absorbs food and are major causes of the aging process, cancer , heart disease and arthritis. Some people also believe that Vitamin C can help to strengthen the immune system and prevent common colds. However, in fact, vitamin C can only help to reduce the risk of cold by reducing the symptoms or help the body recover faster after illness. Hibiscus has the function of curing the common problems related to digestion such as meteorism or flatulence. Hibiscus also contributes to laxative, treatment of constipation, diuretic, urocystitis, limiting stone formation in the urinary tract. Hibiscus is rich in electrolytes. Every day when you work, your body loses electrolytes ( such as sodium, chloride, calcium, magnesium, potassium and phosphorus ) through sweatgland. You need electrolytes to regulate fluid volume in your body, maintaining the pH balance in the blood and send electrical signals which are an important part in all the activities of the body. And Hibscus is very rich in electrolytes. Thus, it is a wonderful refreshments after each exercise and is certainly much better than energy drinks containing sugar and artificial chemicals. Hibiscus contains a rare kind of antioxidant which is Flavonoid. The antioxidants work to prevent the aging process of the body, help users stay young, keep their youth. Flavonoid is an effective antioxidant compound which takes up 12% in Hibiscus calyxes and 5-6 % in Hibiscus leaves. The flavonoids are slow oxidizers or can prevent oxidation caused by free radicals that may cause cell dysfunction. The free radicals produced during metabolism are often free radicals as OH •, ROO • ( factors causing variability, destroying cells, cancer, accelerating aging process, etc) . TRAO GROUP was established for the purpose of contributing to the community. 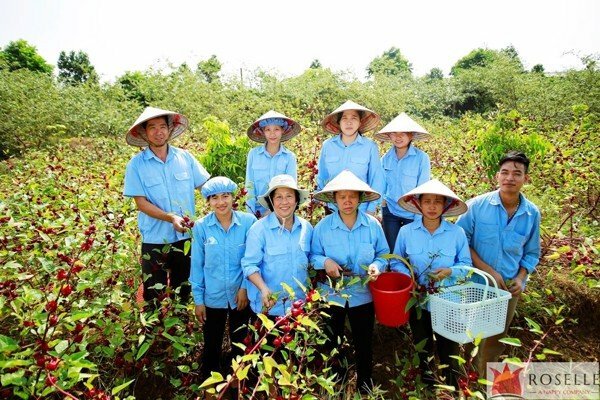 Our way of doing business is based on the traditional values ​​of the Vietnamese people - a way based on the value of respect and still earns enough to afford a living. TRAO GROUP offers respectful products and services at a respectful price. We create and apply the SEEDS (Seed) Management System, which is the way to build business in the way of nature. We respect our employees, customers, suppliers, partners and. above all, respect nature. Our vision is to become a group of companies that share the values ​​of respect in many fields such as gifts and food, import/export and architecture. Currently, one of the on-going outstanding projects of TRAO GROUP is the original ROSELLE collection. 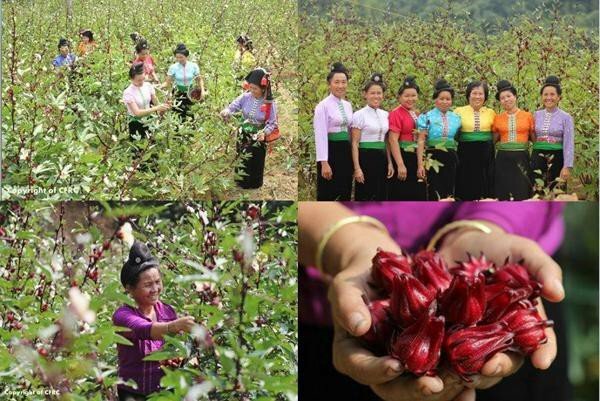 We are the number 1 supplier in Vietnam in term of natural products made from Hibiscus (Roselle). In addition, TRAO GROUP is also the number 1 company in Tet gift services with thousands of gift boxes delivered to the customers each year. 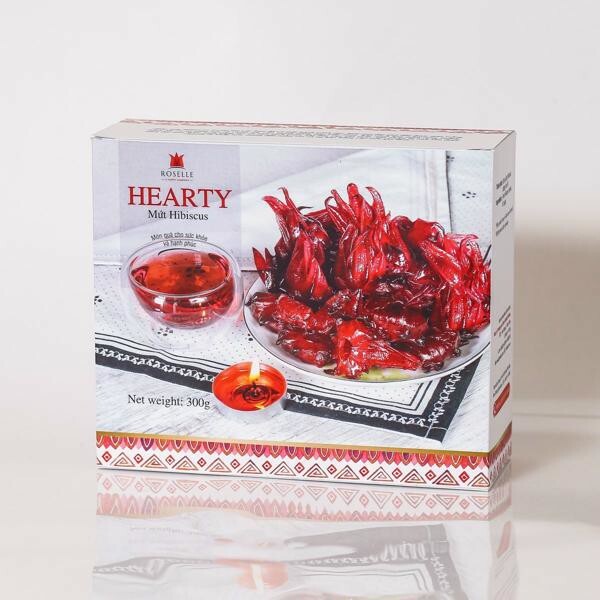 The Roselle Original Collection of Trao Gourmet & Gifts, is a collection of products made from Hibiscus, including tea, wine, candied Hibicus, syrups, biscuits, salt ... and Tet gifts.Every year, the products from Hibiscus – the plant of happiness, keep on carrying out their mission better. 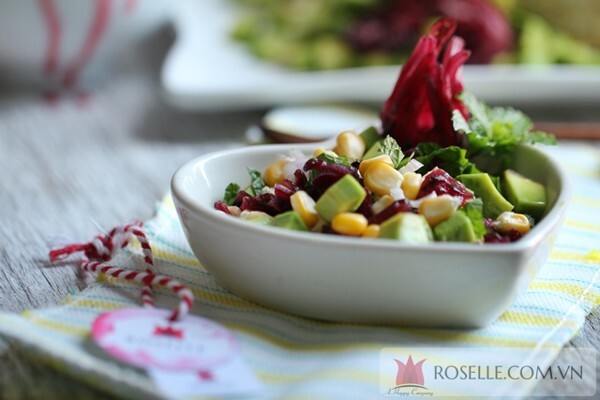 The Roselle Original Collection thrives on having more diverse, delicious and beautiful products which will be delivered to more families in Vietnam and in the world. The happy journey of Hibiscus flower will continue to be created and enhanced by the preeminent management system of Trao Group. 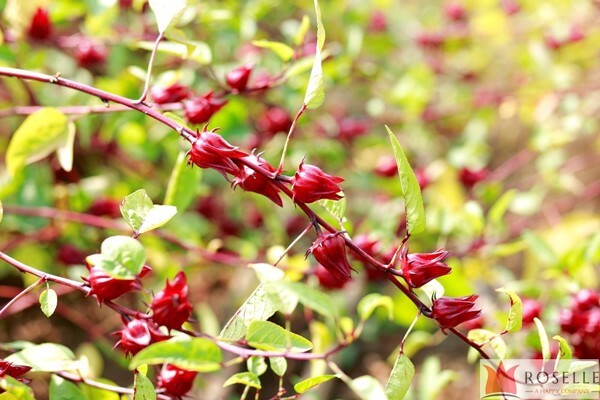 - Invested in product development and research to develop a strategy for Hibiscus. This activity was paid special attention with the participation and cooperation of many national and international experts such as Holland and USA. - Sponsored dozens of major cultural, social and economic events in the country such as Operation Smile Vietnam; Miss Universe 2015; TP World Golf Championships; Nick Vujicic coming to Vietnam. 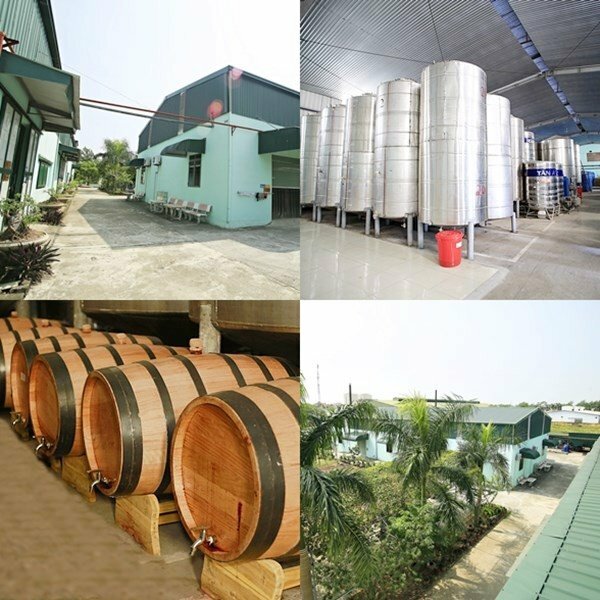 - Attended many domestic and international fairs such as: Vietnam Expo EXPO, Spring Fair, Agricultural Fair, Charity Bazaar fair, Myanmar Trade Fair. - Brought Hibiscus products to most large supermarkets in Hanoi such as VinMart, SapoMart, Aeon Mall, clean food systems and retail stores. - Attached the attention of many restaurants, cafes and five-star hotels in Vietnam such as Pullman Hotel, New World Hotel, Nikko (Saigon), Holiday Beach (Danang) JW Marriot Hanoi, Highlands Coffee; The Kafe. - Initially brought products to international markets such as Japan, Korea, China, USA and Europe. - Invested in creating innovative artworks that express the gratitude and love for people and our homeland such as Trong Dong gift boxes, Banh Chung cards, Banh Tet cards, Monkey family lucky envelopes.